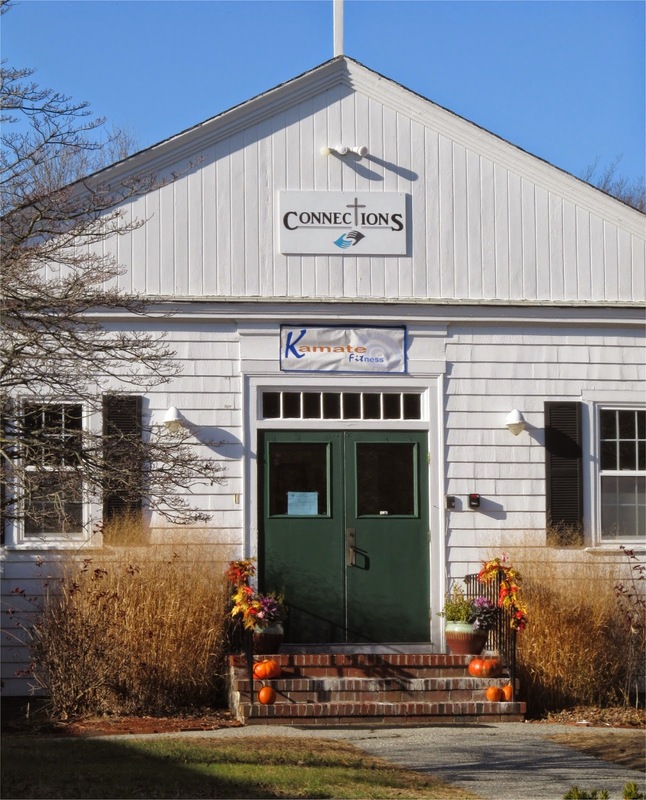 Kamate Fitness has moved to 153 Concord Road, the former location of the Bedford Montessori School. I recently spoke with Nancy Griffiths, founder and owner of Kamate Fitness. Nancy started her career as an Electrical Engineer and over the year worked her way to become a Vice President of operations. Although she felt successful, she also felt something was missing in terms of fulfillment. Nancy has always been interested in fitness and had taken lots of dance classes in gyms. So she decided to start her own fitness company. She was familiar with the Lotte Berk Fitness Method but wanted to expand on it. She really liked the ancestral war dances (haka) from the Maori people of New Zealand. Of particular interest was the Ka Mate haka which is frequently performed by the New Zealand National Rugby Team. Example of the Ka Mata haka by the New Zealand National Rugby Team. From this the name, Kamate Fitness was born. After starting the company, she went to the Bedford Recreation Department to see if they could partner together in setting up the classes. She rented space from various locations around Bedford. According to Nancy, the recreation department handles the marketing, payment and registration of the classes and then submits payment (minus operation costs) to Kamate Fitness. She originally started with one class but quickly grew to 13 classes. At this point she rented space at Callahan's Karate Studio at 20 North Road and teamed up with a few additional instructors. She then added a Children's program called Kid's Jam which is geared towards grades 3-5. She found as the kids approached 6th grade they were not as interested in dancing and tended to segregate by gender. In response she added some teen weightlifting classes geared towards grades 6-8. And then by 9th grade she found many kids become more interested in dancing again so she also added classes for high school students. With all the new classes and programs she was outgrowing her space and needed more room. She wound up speaking to the First Baptist Church who had availability next door in it's newly renovated Connections Building after the Montessori School moved to it's new location at 8 Alfred Circle (off Wiggins Avenue) so she decided to sign a lease. In addition to it's main room that will be used for classes, the new location has a kitchen and some additional downstairs space. Nancy feels it will be great to provide snacks as well as other activities such as Arts and Crafts for kids who may not be interested in dancing. She thinks the new facility will really help make the kids classes a viable after school program. Main area where Kamate classes are held. The new location includes a basement with a Kitchen and additional space. 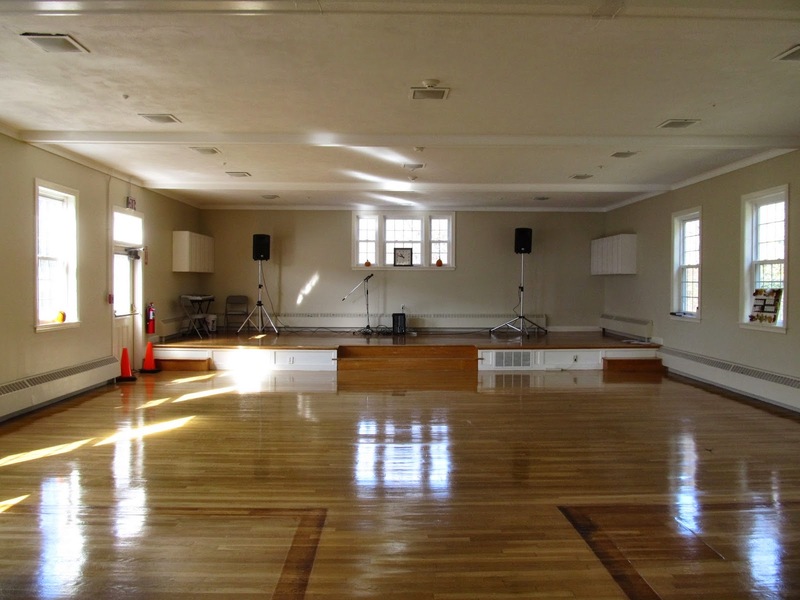 In addition to the classes and kids after school programs, the space will also be used by Kamate Fitness for occasional seminars and lectures as well as a fully social dance four times per year. The Kamate classes contain elements of Weightlifting, Yoga and Pilates. Nancy refers to Kamate as Zoomba on Steroids and believes that since you are following the music you tend to work out a lot harder than you realize which makes it more effective. All the instructors are certified by Les Mills International and some of the classes are now available on Bedford TV. According to Nancy, her classes tend to attract people who are not in to the gym scene. Ages usually vary from around 16 to the 60's with more Women than Men. Her main goal is on getting bodies moving and more active. She feels that there is not enough movement nowadays. Her biggest enjoyment is to see Women who take the classes, and then watch them realize the empowerment of the class. Whereby they see how they worked to improve themselves physically and then realize they can do the same thing in other areas of their life such as work and relationships. Nancy see's the classes as a way to ignite the spark and be transformational in building confidence and more. In addition to Bedford, she runs a similar program in Concord and is now just starting in Carlisle using the same method of working with the town's recreation department. She expect to continue "spiraling out from Bedford" in to other towns. An open house was held on November 8th. The space itself is interesting in that while Kamate Fitness is renting it out from Church, it's really shared space since the Church will sometimes use it as well as other community groups such as the boy scouts. Similar to the newer companies of Airbnb, Hubway Bike Sharing and Zipcar, this is an "old world" example of the increasing relevance of the sharing economy in taking advantage of resources that are not fully utilized. Instead of staying empty when there are no classes, it can be used for other purposes.